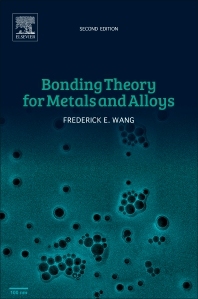 Bonding Theory for Metals and Alloys, 2e builds on the success of the first edition by introducing new experimental data to each chapter that support the breakthrough "Covalon" Conduction Theory developed by Dr. Wang. Through the recognition of the covalent bond in coexistence with the 'free' electron band, the book describes and demonstrates how the many experimental observations on metals and alloys can all be reconciled. Subsequently, it shows how the individual view of metals and alloys by physicists, chemists and metallurgists can be unified. This book covers such phenomena as the Miscibility Gap between two liquid metals, phase equilibrium, superconductivity, superplasticity, liquid metal embrittlement, and corrosion. The author also introduces a new theory based on 'Covalon' conduction, which forms the basis for a new approach to the theory of superconductivity. Bonding Theory for Metals and Alloys, 2e is of interest to physical and theoretical chemists alongside engineers working in research and industry, as well as materials scientists, physicists, and students at the upper undergraduate and graduate level in these fields. Frederick E. Wang, PhD, is the CEO of Innovative Technology International in Washington, DC, a company he founded in 1980. He has more than 40 years of experience in research and development in the field of materials science and the application of bond theory. Dr. Wang has authored over 50 articles in a broad range of journals and has co-authored two books in the field of Solid State Physics. He is also the inventor of Nitinol as well as the patent holder of the Dr. Wang also currently serves as a consultant for MIRDC (Metal Industry Research & Development Center) in Taiwan.